Beats will reportedly launch AirPods alternatives in April | What Hi-Fi? A true wireless version of Beats' popular Powerbeats wireless sports in-ears will be announced in April, according to a CNET source familiar with the situation. The first pair of Beats-branded wire-free headphones would rival the new, second-gen AirPods, which launched last week as successors to the originals that kickstarted the true wireless trend. The true wireless Beats would allegedly share some of the AirPods features, including the H1 chip and Siri voice assistant. The CNET report also mentions that battery life may also better the AirPods, which offer five hours of music playback from a single charge. If they're anything like the existing Powerbeats models, they should be lightweight, securely-fitting and aesthetically credible. Will they even be part of the sports-orientated Powerbeats line? Will they support wireless charging like the AirPods? And – more crucially – will they be cheaper than the £159-£199/$159-199 Apple alternative? These are all questions we'll supposedly have answers to next month when they launch, if not sooner. 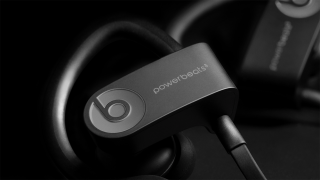 The forthcoming Beats will no doubt sit above the BeatsX (£109 / $119.99) and Powerbeats 3 Wireless (£99.99 / $99.99 in the brand's earphone line-up, so there's every chance we could see pricing start just above these models. Fingers crossed for a great-value, good-sounding entrant, because the hit-and-miss true wireless market could certainly do with one.